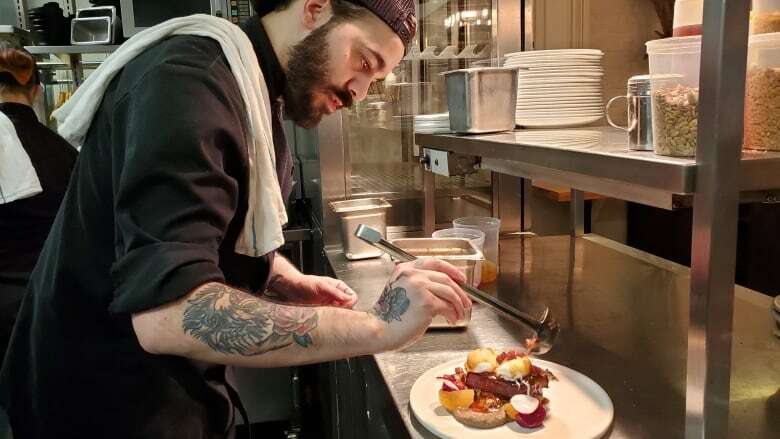 Chef Jean-Philippe Bourassa-Caron prepares poached eggs and a bordelaise sauce for a new feature at his Chez Boulay restaurant in Quebec City. 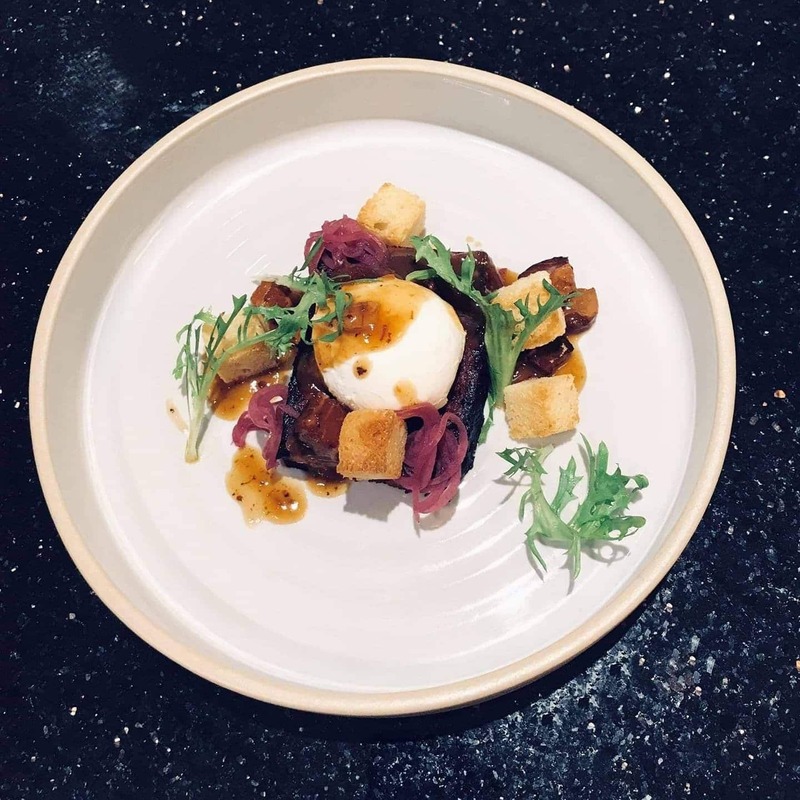 The sauce and eggs complement an unexpected part of this brunch dish, a meat terrine made with seal. “I really like to work with seal because it’s a nice taste,” said Bourassa-Caron.